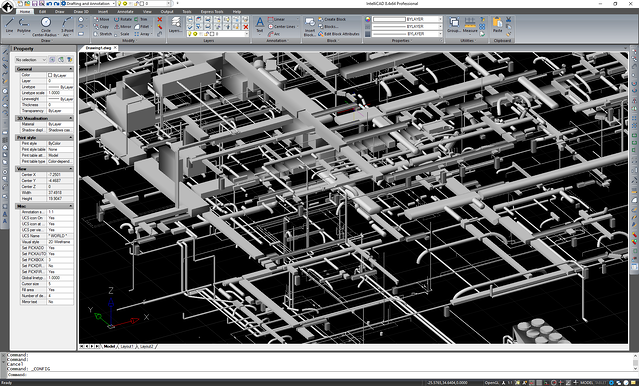 Carlson Software released iCAD 2019 just before the holiday blitz at the end of 2018. iCAD 2019 is based on the IntelliCAD engine version 9.0. IntelliCAD comes built-in to Carlson Software products, but iCAD 2019 is also available separately at a low cost perpetual license for 2D and 3D CAD modeling. New features include tool palettes, new 3D solid commands, additional DGN support, and new express tools. iCAD 2019 also features Google Earth import and export KML/KMZ, standard CAD entities, the drawing inspector tool and more. How to convince end users that it's easy to switch to working with software based on the IntelliCAD engine? We poured over your feedback from past conferences. You wanted more options. We have added courses on CAD basics and have broadened the overall offerings to give you more and better choices." Interested in how Carlson Software's membership at the ITC works out? When purchasing Carlson Software, customers decide on their CAD engine: use built-in IntelliCAD at no extra cost or purchase AutoCAD, sold separately. Carlson programs include Survey, Civil, Hydrology, Mining, GIS, Point Cloud, Field, Natural Regrade, Construction, GeoTech, CADnet, and Trench. The latest version of Carlson Software programs, Carlson 2018, was released last fall and is built on the IntelliCAD 8.3 engine. It includes new commands such as mleader, selection filters, gradient coloring and etransmit. While stability improvements were the main focus, the new version also has performance improvements such as selection, snapping, multithreaded open and regen. 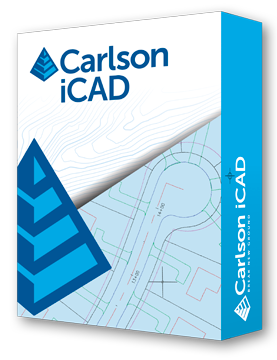 Just added to the Carlson Software product lineup: iCAD 2017, based on the IntelliCAD engine. For almost a decade, IntelliCAD has come built-in to Carlson Software products. 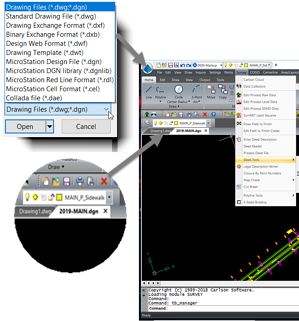 But the all-new iCAD 2017 allows new and existing Carlson customers to purchase a low cost perpetual license for 2D and 3D CAD modeling that also includes Carlson-specific drafting and annotation commands built-in. Carlson Software will be at the following tradeshows in Europe this fall. Come check out IntelliCAD in action as part of the many Carlson solutions that excel in the civil and hydrology, construction, GIS, land surveying, and mining industries. Curious whether engineering groups like working with IntelliCAD? Curious how a group makes the switch to IntelliCAD? Check out how Gibson-Thomas Engineering tried it, liked it, and are making the switch to Carlson Civil Suite which includes IntelliCAD built-in. For details and a video, see the Carlson website. 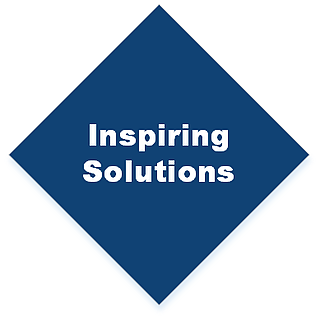 For details about how Carlson Software benefits from ITC membership, see here. Traveling to a conference or show this spring? Come check out IntelliCAD in action as part of the many Carlson solutions that excel in the civil and hydrology, construction, GIS, land surveying, and mining industries.